Made of top-quality, durable Duratex fabric for optimal protection of sensitive contents. The triple-layer material is made of cellular foam with two layers of polyester. 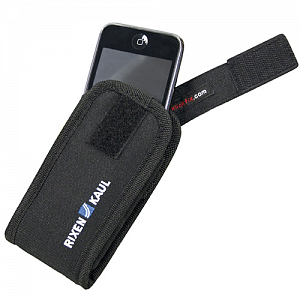 Thanks to the elastic sides, this model fits all common mobile phones. Easy to mount on stem, handlebar, seat post or frame by means of the Mini-adapter.